CEAP is the national association of Catholic educational institutions in the Philippines. Founded in 1941, it now has 1,252 members, which include universities and colleges offering academic and continuing education programs that are at par with foreign schools in the USA and Europe. Majority, however, of its members numbering around 700 are mission schools offering basic education to the country's poor and the marginalized. CEAP is a voluntary organization which operates through regional educational associations located in the 16 regions of the country. It represents the interest of Catholic educational institutions in national and international fora, fosters unity of action with other organizations in educational matters, and assists members, particularly those in mission areas, to achieve common and specific aims. Therefore, the CEAP represents far more academics and teachers than the "Ateneo 192" plus the pro-RH professors in De La Salle University who are now said to be circulating at least two petitions imitating the Ateneo professors in their rebellion versus the bishops. 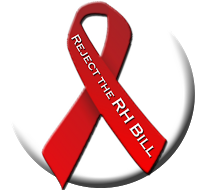 While I don't make the claim that everyone else who teaches in CEAP-affiliated institutions of higher education is anti-RH bill, the declaration published yesterday (August 29, 2012) by CEAP would not have been possible without a significant number of administrators, professors or teachers in these institutions being actually opposed to the RH bill. As I point out further below, it is equally true that the statement also bears the marks of a strong pro-RH bill lobby. 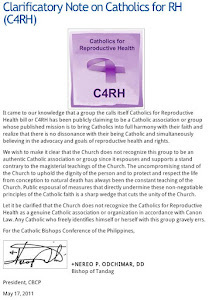 Although the text as we have it does not explicitly refer to the Ateneo 192, the references to Ex Corde Ecclesiae and to the bishops' desire to 'dialogue' with those who object to the CBCP's stance on the RH bill (a dialogue that has been offered only to the Ateneo dissenters) make it clear that this statement was written with an eye to the continuing controversy caused by the pro-RH teachers. CEAP supports the bishops in their opposition to any law which contains provisions for abortifacient control of birth. Killing of human life is absolutely proscribed. 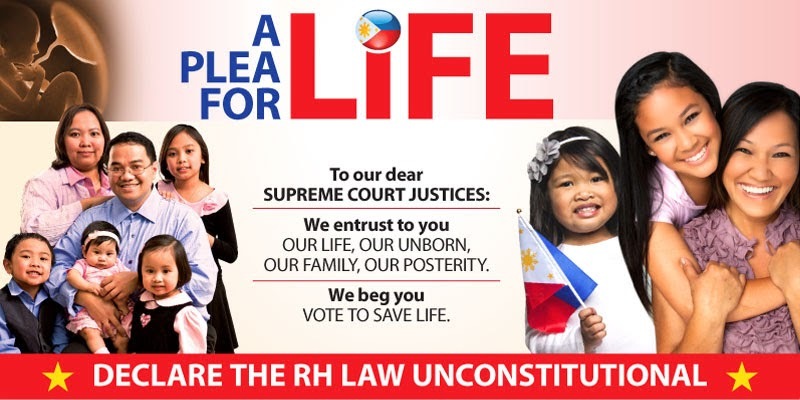 It is prohibited by the Philippine Constitution which protects life from the moment of conception. It is also prohibited by the Fifth Commandment. It supports the bishops in their opposition to any provisions of law that force any Catholic believer to act against his/her conscience in the discharge of his/her duties as a doctor, health worker, employer or employee. It supports the bishops in their opposition to any provision that usurps the right of parents to take full responsibility for sexual education of their children. CEAP supports the bishops in their official teaching, binding on all believers, concerning the dignity of the human life, the need to “choose life” and to support a culture of life, the sacredness of sexuality, the unity in principle of the unitive (“for love”) and procreative finalities of acts of sexuality, recognizing God to be the author of life. It supports the bishops in their pointing to the danger of human love being eroded into lust and the danger of “moral corruption” in reducing life’s choices for a meaningful life to choices for superficial pleasure, even though in all of these issues there is ongoing theological reflection (esp. in Catholic Universities and Catholic theological faculties). Unfortunately, the CEAP statement also gives space to statements that de facto gives cover to those academics in Catholic schools who invoke academic freedom and pluralism in order to support the RH bill. CEAP supports the bishops in their dialogue with objectors to this teaching, preserving in their schools “the institutional fidelity of the Catholic Universities to the Christian message…” (Ex Corde Ecclesiae, 27). CEAP supports the bishops in contributing to the discussion on the demands of the common good in a plural society on the basis of which legislation and new legislation or revisions of legislation are deemed imperative. The authority of discerning reason within the civil (profane) society, especially in discernment articulating demands of the common good or social justice, binding on reasonable persons based on compelling rationality. Within a Catholic University “whose privileged task is to unite existentially by intellectual efforts two orders of reality that too infrequently tend to be placed in opposition as though they were antithetical: the search for truth, and the knowledge of already knowing the font of truth’” (Ex Corde Ecclesiae, 1), academic freedom is guaranteed by the Church: “The Church, accepting ‘the legitimate autonomy of human culture and especially of the sciences,’ recognizes the academic freedom of scholars in each discipline in accordance with its principles and proper methods and within the confines of the truth and the common good” (ibid 29).